Apprenticeships for many years have provided a great opportunity for school leavers who didn’t have the academic qualifications or the inclination to go to university, with a way to learn a trade or profession. It also provided local companies who invested in their training with an ongoing supply of skilled labour. The question is are they still serving the same purpose? When I became an indentured apprentice back in the 1970’s your father ‘signed your life away’ for 4 years. I went to the local college full time for a year to learn the basic skills of engineering and how to use, and sometimes damage their machines as opposed to my company’s. This was then followed by 3 years back in the company training school including 1 day at college to learn the theory and principles aspect of your skill, in my case toolmaking. After your 4 years were up, more often than not you were guaranteed a job at your place of work utilising the skills that you had learned, and so I entered the toolroom. My weekly wage had increased 7 fold from £9.66 as a 1st year apprentice to £72 per week as a fully qualified toolmaker. Happy days! I say fully qualified because like driving a car you only learn properly as you gain experience. I still use some of the skills I learned to this day so I have always been passionate about apprenticeships and the benefits they bring to individuals and businesses. Some years later I joined in a radio programme when a well-known local business owner was complaining about skill shortages only to admit when I asked him that he had closed his training school several years earlier to save money! The training world has now changed. There are only 10% of people in formal training schemes compared to the year 2000 and only the largest of organisations tend to run their own apprenticeship schemes. To try and counter this the Government has introduced the Apprenticeship Levy. The Government’s vision by 2020 is increase the quality of apprenticeship development programmes to 3 million. With apprenticeships being designed so that they focus on exactly the skills, knowledge and behaviours that are required of the workforce of the future. Larger companies with a payroll of over £3m pay in and smaller companies can take out, with 90% of funding able to be accessed based on eligibility and 10% coming from the employer. Training can be provided as before by the employer but in the main training is now being provided by approved training providers, of which Pathway First Ltd in Birmingham are a first class example. In addition to providing great training the Pathway2Grow group have shown their commitment to the training and development arena by instigating and organising The Asian Apprenticeship Awards which are taking place in Birmingham later this week. However it is worth noting that year to date the overall number of apprenticeship starts this year is down 61% compared to the same period in 2016! 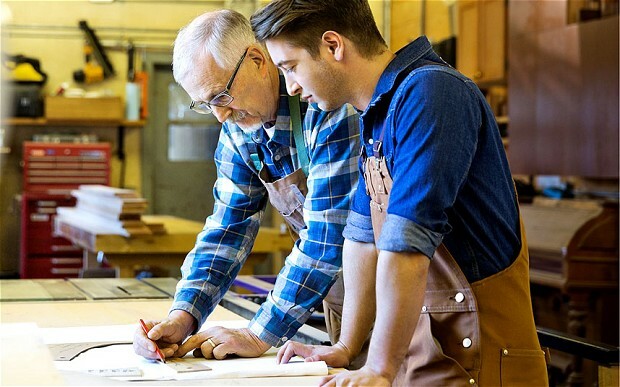 Apprenticeships are no longer just for school leavers but graduates and existing staff can be ‘apprenticed’, and not just for skilled trades and artisans but for virtually any role in the modern workplace. I even saw an advert recently for an ‘apprentice teaching assistant’. Is it just me or does this smell of trying to get labour on the cheap? Interestingly in the past 6 years over 14,000 people aged 60 and above have been taken on as trainees. Politicians have said that this shows that ‘life-long learning’ is alive and well and you are never too old to learn. Cynics might say that our senior citizens have been so hard done by, particularly those who have had the pension due date put back by 6 years, that they have no choice but to go and get work, and quite often training schemes/apprenticeships is all they can get with ageism being so rife in the employment market. So as an ardent supporter of self-development, in whatever form it may take I fully support any initiatives that encourage apprenticeships in particular and training in general. I wish more organisations would instigate their own programmes and see beyond short term cost and think of it as an investment in their future. However I appreciate the challenges employers face when recently I read that circa 60% of today’s school leavers will end up in a job role that currently doesn’t exist! Life is never simple is it! Thanks to Safaraz Ali, CEO of the Pathway2Grow group for the inspiration to write this piece and to Louise Ward, The Apprenticeship Levy Manager, for her contribution.